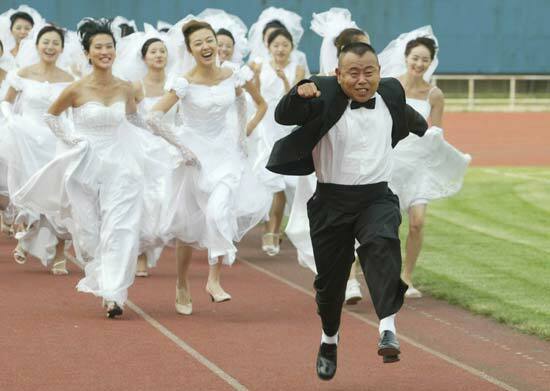 in which he played a bridegroom pursued by brides. position, personality, fashion and personalization. 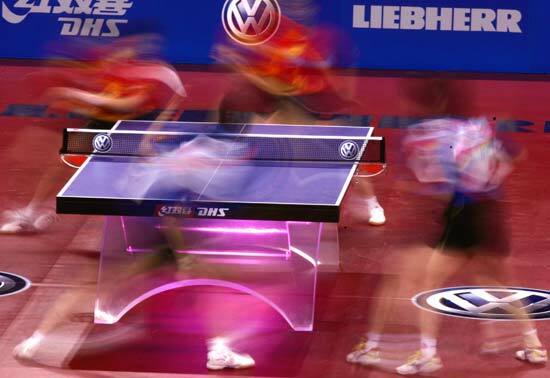 2005 World Table Tennis Champsions, females doubles final. 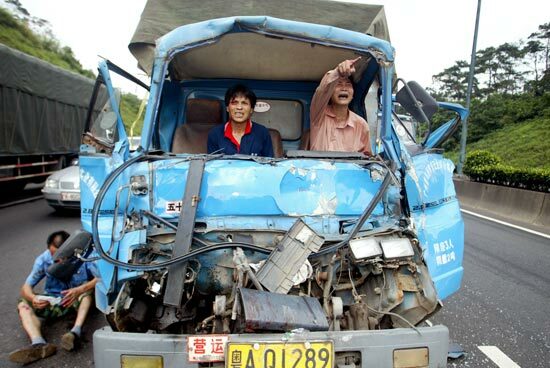 At 14:10 on July 5, 2005, there was a collision on the an expressway in Guangzhou. The front end of this small lorry was squashed. One passenger was thrown out of the car with a broken leg. Two others are trapped immobile inside the car, waiting for rescue. 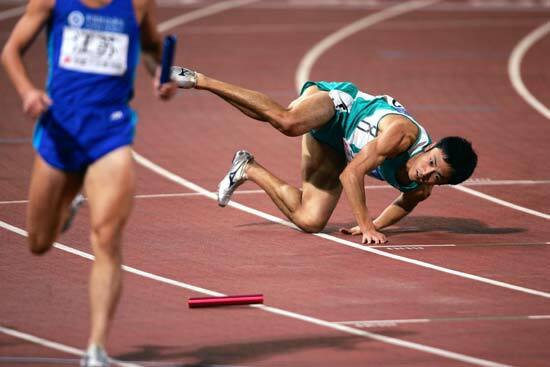 On June 10, 2005, a tricycle thief in Xian was being chased by several hundred citizens. He jumped into the ditch and stayed there. He refused to come out unless the police came because he might be lynched. Here a uniformed police officer is showing him an ID. At 12:24 on March 19, there was a gas explosion at the Xishui mine in Shanxi. 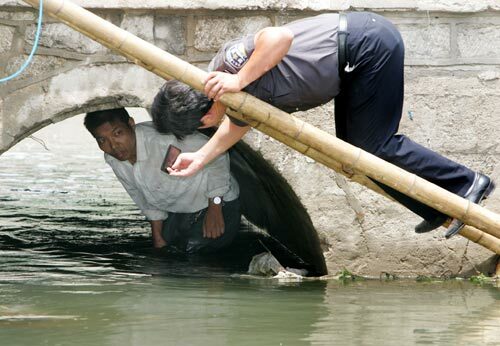 The rescue team arrived in less than 20 minutes. The team proceeded down for about 200 meters and found the passage blocked by rocks. They started to dig with shovels and pickaxes but still could not get through. 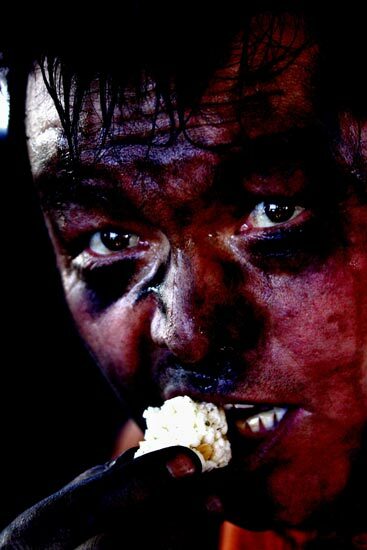 At that moment, there was another explosion at the Kangjiayao mine several hundred meters away. The team raced over to the other location and found 19 bodies. They took the bodies after five hours, took a short rest and went back down again. This is the squad leader grabbing a quite bite handed to him by a boy. 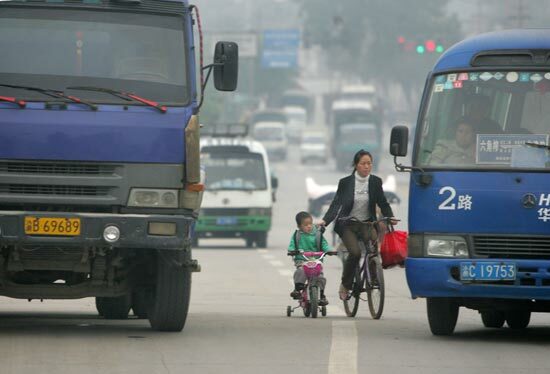 a woman pedals a bicycle gingerly in the middle of the road with her son on a tricycle. 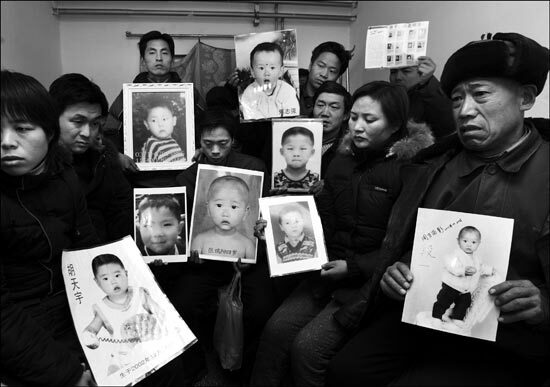 On December 11, nine Henan families who have lost their children gathered at a small hotel in Beijijng. They hope to form an alliance to get public attention to help to get their children back. 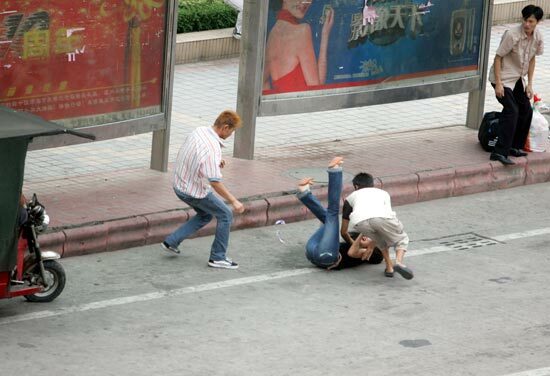 On September 20, 2005, a woman is robbed by two men in Dongguan, Guangzhou. A pedestrian is shocked at the sight. The photographer turned over the information to the police. 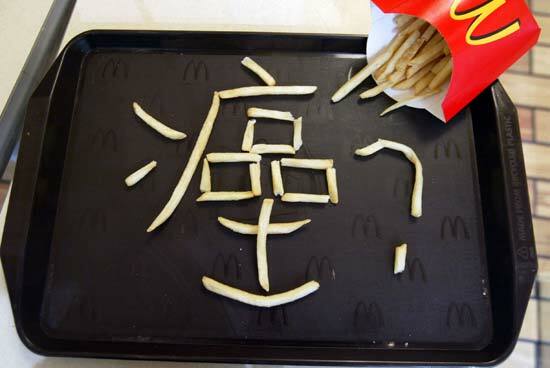 MacDonald's french fries are arranged to spell out the word "Cancer" in Chinese.